Kubo’s new monograph on internationalized armed conflicts is a truly remarkable book. It attempts to give a comprehensive yet concise analysis of the nagging legal issues inevitably arising during such conflicts when the line between international and non-international armed conflicts is often blurred beyond the recognition at this vanishing point of the law of war. This treatise is indeed a must for every serious humanitarian law scholar or for those who would like to make sense of this seemingly impenetrable subject. In this blog post, however, I came to nitpick at the book, not to praise it, focusing on a short segment where Kubo aims to prove that the International Criminal Tribunal for the Former Yugoslavia (ICTY) made the right choice by (re)interpreting Geneva Convention IV relative to the Protection of Civilian Persons in Time of War by stating that in the course of an internationalized armed conflict the detaining state has to grant protected person status even to its own nationals if they have differing allegiance. Kubo claims that this interpretation is both in line with the spirit of humanization and also practical (or at least not completely unpractical), while attempting to refute a number of disagreeing authors, including myself (which probably explains why I chose this somewhat arcane topic). In the post I will first summarize the Tribunal’s position, then the arguments defending the ICTY jurisprudence, and I will try to demonstrate why I don’t find them particularly convincing. Needless to say, I will only provide express reference for my arguments if they cannot be found in my original piece. ‘Persons protected by the Convention are those who, at a given moment and in any manner whatsoever, find themselves, in case of a conflict or occupation, in the hands of a Party to the conflict or Occupying Power of which they are not nationals. Even though a plain reading of the text might suggest that the parties did not particularly desire to extend the application of GCIV to their own nationals when they are on opposing sides of an armed conflict, the ICTY proposed a radically different approach: in a string of decisions it claimed that beyond the formal category of nationality, that even those persons should be protected by the Convention who have the same nationality as the State in whose “hands” they find themselves if they have ethnic allegiance to the foreign party participating in the conflict. 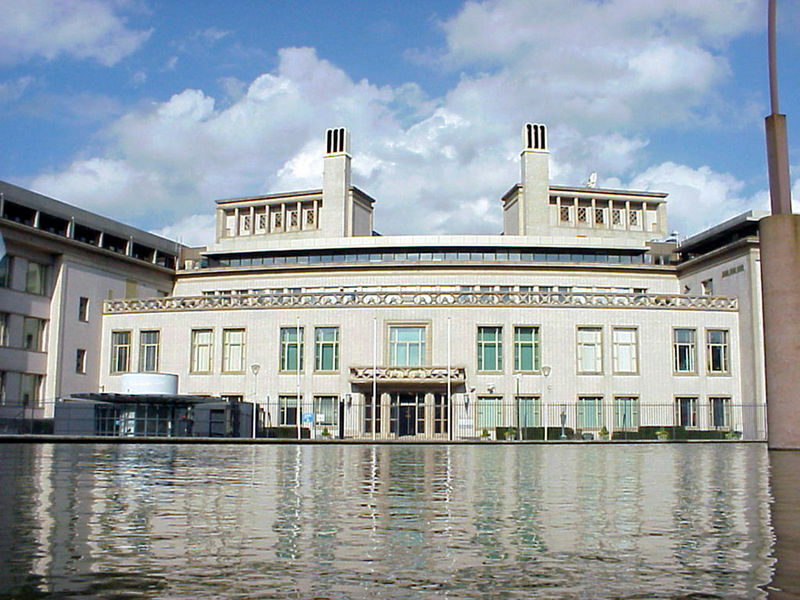 The Yugoslavia Tribunal partly relied on the Nottebohm decision of the International Court of Justice to claim that nationality and ethnicity can be separated and the latter can determine “effective allegiance” during inter-ethnic conflict with foreign involvement. The ICTY asserted that in the new context of inter-ethnic conflicts going beyond formal legal bonds is to give effect to the object and purpose of the Convention and protect the victims of the conflicts. The Tribunal’s approach seems intuitively appealing, after all, who would not want to extend legal protection as far as it is possible to victims of armed conflicts? However, there are quite a few questions that the ICTY did not answer adequately if at all. One preliminary problem is the necessity to go contrary to the ordinary, hitherto uncontested meaning of the text and resort to purposive interpretation. Ordinarily, the object and purpose of a treaty forms the context to affirm the supposed plain meaning of the text. Even though some international courts – especially human rights bodies – repeatedly use teleological interpretation to significantly broaden the original scope of application of a norm, international criminal fora should – at least in theory – due to the principle of nullum crimen sine lege apply a strict construction when they define a crime to avoid extending international criminal liability. A good example is Art. 22 (2) of the Rome Statute of the International Criminal Court specifying that “The definition of a crime shall be strictly construed and shall not be extended by analogy. In case of ambiguity, the definition shall be interpreted in favour of the person being investigated, prosecuted or convicted.” The ICTY during its quest to “humanize humanitarian law”, i.e. expand the application of humanitarian norms as far as possible to protect the victims of war, often seems to have forgotten this principle. While Kubo takes note of the problem (p. 236), he fails to address it. The Yugoslavia Tribunal repeatedly held that nationality and (ethnic) allegiance can be separated and juxtaposed which means that in case of an internationalized armed conflict a State should acknowledge its own citizens as protected persons if they have allegiance to the other belligerent state due to their ethnicity. For instance, based on this theory, during the Bosnian civil war the Bosnian state should have regard Bosnian Croat civilians as protected persons since Croatia had at some point in time direct military involvement in the internal conflict between the Bosnian Croatian Defence Council and Bosnia. Kubo espoused this interpretation in the book and sought to refute the counterarguments (pp. 234-237). This interpretation was based on certain interconnected assumptions. First, the Tribunal stipulated that the legal concept of allegiance can be separated from nationality when ethnic affiliation is contrary to the duty owed by citizenship (effective allegiance). Second, based on the Nottebohm case, the ICTY implied that in such cases ethnicity, as a genuine bond, should prevail over nationality, so nationality can be disregarded as an excessively formalistic category. Third, the Yugoslavia Tribunal argued that in light of the object and purpose of GCIV, this move is necessary to protect the civilian victims of armed conflicts. A close look at the provisions, however, clearly reveal that they do not affirm the ICTY thesis. Art. 45 of the Hague Regulations was legislated to prevent a particular phenomenon, the widespread practice of occupying powers forcing the civilians to take an oath of allegiance, i.e. act contrary to their citizenship duties. It is difficult to see why this provision would support the juxtaposition of nationality and allegiance based on ethnicity. Quite the contrary, the text aims to maintain the original allegiance based on the “formalistic” category of nationality. The Nottebohm case, on the other hand, seems to support the idea that where there are close social ties to another country, this genuine link should prevail over formalistic legal relationships. The International Court of Justice held that ‘nationality is a legal bond having as its basis a social fact of attachment, a genuine connection of existence, interests and sentiments, together with the existence of reciprocal rights and duties.’ Indeed, it does not seem to be too far-fetched to interpret that statement as suggesting that shared ethnicity can override formal legal ties. However, there are a few important points that have to be made to contextualize the Court’s observation. First, the Court did not generally speak about nationality as a general legal category but about nationality as a precondition to exercise diplomatic protection. The requirement of genuine connection or link thus was introduced to underline the necessity of an actual attachment of the national to the state of nationality in order to exercise diplomatic protection. Unsurprisingly, later attempts to rely on the concept of genuine link to disregard foreign citizens’ nationality was usually rejected in international practice. Second, the ICJ actually uses the concept of allegiance as part of nationality, not as a potentially opposing concept. Third, while ‘social fact of attachment’ could include ethnicity, it is but an element in the general determination of genuine connection and the analysis of the International Court of Justice did not take note of that but focused on the actual place of residence and family ties. Indeed, factoring in the concept of ethnicity could have actually strengthened Liechtenstein’s position given that the official language of Liechtenstein is a German dialect and its population is predominantly of Germanic origin. Fourth, it should also be emphasized that the case concerned a naturalisation where the newly-minted citizen did not actually live in his country of citizenship. The Court never gave any indications in its judgment that a person who was actually born in a country would not have social attachment based on differing ethnicity. Finally, it is difficult to see how the expansion of Art. 4 could protect the victims of armed conflict in practice. In none of the cases in which the ICTY invoked this thesis could the actual victims had been in a worse situation, had the rules of non-international armed conflict – repeatedly emphasized by the Tribunal having essentially the same protective scope as the norms of international armed conflict – been applied. The crimes were committed because the perpetrators disregarded elementary norms of humanity, not specific rules of the Fourth Geneva Convention. Actually, the quest to expand the applicability of the rules of international armed conflict to non-international armed conflict could even result in crowding out otherwise applicable human rights norms (See Tamás Hoffmann, ’The Gentle Humanizer of Humanitarian Law – Antonio Cassese and the Creation of the Customary Law of Non-International Armed Conflicts’ in Larissa van den Herik, Carsten Stahn (eds.) Future Perspectives on International Criminal Justice (T.M.C. Asser, 2010) 58-80). All in all, I fail to see why the expansive interpretation of Art. 4 of GCIV should be retained. It is clearly contrary to the literal meaning of the text and I have failed to come across any state corresponding state practice before or even after the adoption of the doctrine. (Kubo cites international decisions espousing this interpretation but not a single state practice (p.236). I am even unpersuaded that this interpretation could have a truly humanitarian protective purpose therefore I hope that Kubo – in the second edition of his book – will eventually agree with my position.